You're reading Books, Beer and Blogshit! It's the only blog that can't believe its getting paid to do this. I am your overpaid and underworked blogger, Mr. Frank. As promised, this is the year of the female zombie writer. Let's kick off today with yet another lady taking on zombie fiction with grace and poise and maybe a bit of sinew. Rhonda Parrish is up on The Blogshit today. The fun part about spotlighting over thirty authors on this years blog tour is seeing just how differently the subject of zombies can be tackled. 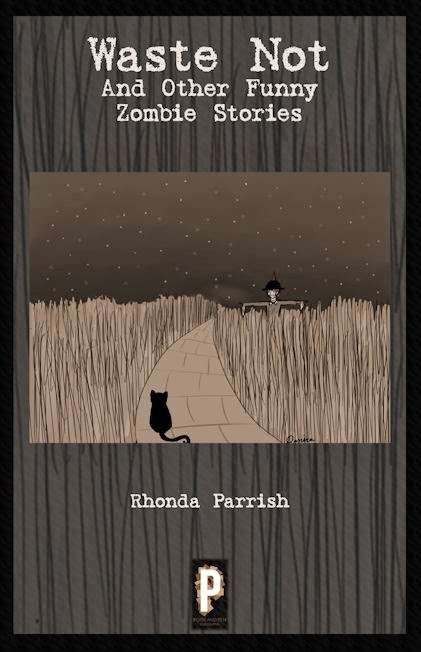 Rhonda Parrish uses the humorous side of zombies to weave her tales of woe. Cute and creepy is always a winning combination in this bloggers book. So let's dive deep into the psyche of a person just crazy enough to believe a rotting corpse can be hysterical. Books, Beer and Blogshit now presents the Rhonda Parrish interview. Books, Beer and Blogshit: Are you a survivor or one of the undead? Rhonda Parrish: I am absolutely 100% a survivor. Except when I’m working on a deadline, then I suppose I much more closely resemble the undead. The Blogshit: What is your latest piece of zombie fiction we should be concerning ourselves with? The Blogshit: Do you feel you are a classic or progressive type of zombie fiction writer? Rhonda Parrish: Classic, in that my zombies tend to be of the classic slow-moving, not intelligent variety. I do like to try and look at them from different points of view or give them a twist in some way to make my zombie fiction not “just another zombie story”. The Blogshit: What makes your zombies different from all others? The Blogshit: What makes your living different from all the others? Rhonda Parrish: Well, they aren’t always human. I think that’s pretty unusual. The main character in Feeders, for example (which is one of the stories in Waste Not…) is a cat. The Blogshit: Do you think it's important, in this climate, to run with the pack or really try to reinvent the wheel in zombie fiction? Rhonda Parrish: I think it’s important to stand out from the pack, but not by too much. If you totally reinvent the wheel in zombie fiction you’re going to piss off people who want a good old-fashioned zombie story, but if you’re just borrowing other people’s wheels, well, then your story won’t have any bite and you’ll piss the reader off for a different reason. Perhaps the key is to take the wheel as it’s already been invented, but paint it a different color, or change up the rims, and stay at the head of the pack rather than getting lost in the crowd. Wow. I milked those metaphors to death, eh? The Blogshit: Zombie fiction seems heavily dependent upon working within the construct of a series. Do you feel that is the way that makes it work best for you you or do you think there is still room for stand alone stories? Rhonda Parrish: I think series’ definitely have their place, and they absolutely make up a huge part of the market, but stand-alone stories have a place as well. Sometimes you just want a quick bite (heh) not a ten course meal. It can still be satisfying and delicious, but it won’t take as big a commitment of time and energy as something bigger. The Blogshit: Are you ever afraid of being pigeon-holed in this zombie fiction genre? The Blogshit: For your next zombie story, stand alone or series, do you think you will need to go sicker or smarter to keep it going? 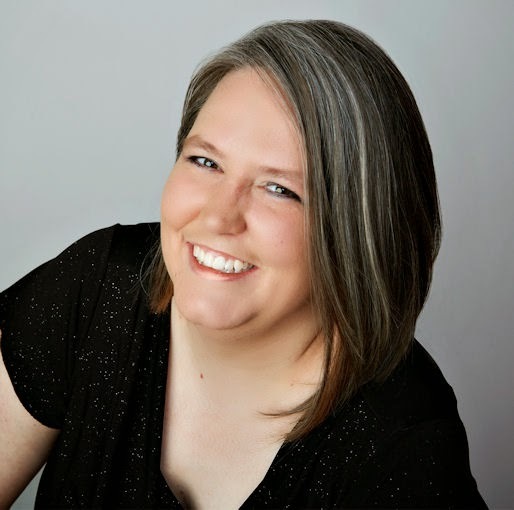 Rhonda Parrish: I have a lot of room to go sicker in my zombie fiction because there’s not a whole lot of gore in the stories in Waste Not (And Other Funny Zombie Stories), but I’m not sure I’m interested in that direction. We’ll see… sometimes a girl just really needs to write something so disturbing she wigs herself out. You can never be sure precisely when that compulsion is going to strike. The Blogshit: On last year's tour, we asked about what to put on your zombie sandwich. This year, we want to know: What special ingredients would you use to pickle the pickles on your zombie sandwich? Rhonda Parrish: Oh my. Well, you’ve got to start with formaldehyde, because that’s just tradition but in addition to that, I’m thinking some Dead Sea salt. Because reasons.